Since we’ve started planning camping trips most months of the year, my former passion, gardening, has been sadly neglected. However, I do still grow several Earthbox containers of flowers and herbs. Last year I planted green onions intending to let them overwinter and go to seed. As expected, they did go to seed earlier this year and the plants began dying. I neglected pulling up the old plants until today. And I got a nice surprise. Not only did the old plants provide me with seed. 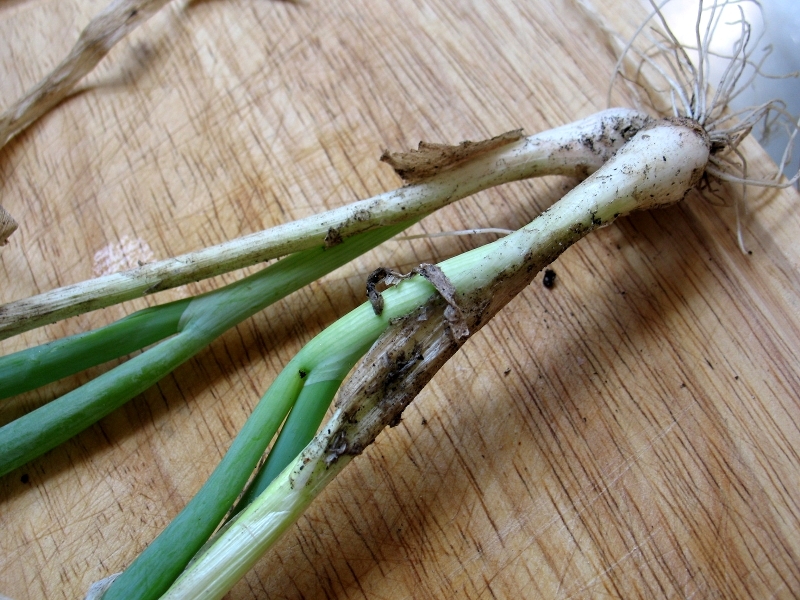 But when I pulled them up, I discovered that each one had also produced a new onion sprout. That was an unexpected bonanza. So I replanted half of the bulbs and harvested a nice supply of green onions for the kitchen. Not bad for dead onions! Then I wandered over to check out the wild blackberry bushes that grow on the margins of our property. They are still mostly unripe, but, again, I found enough ripe ones to make a cobbler. 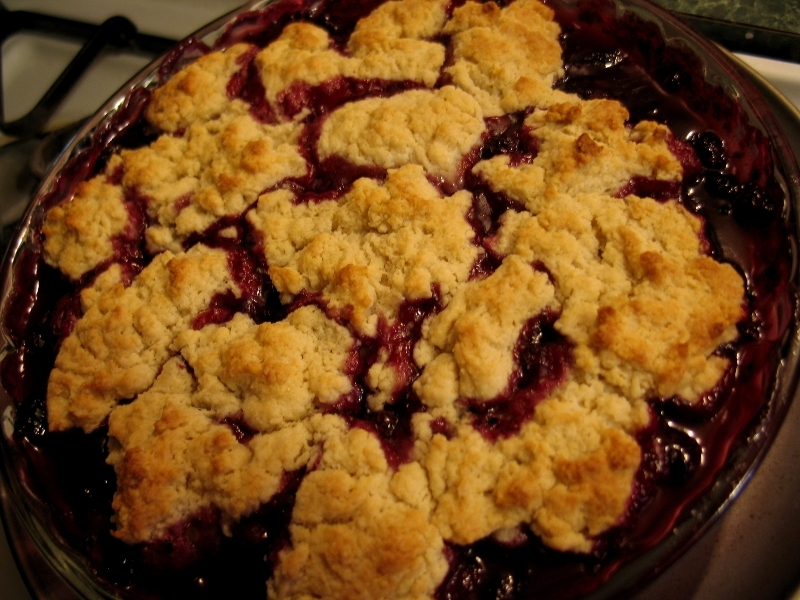 I added orange juice, cinnamon, nutmeg, butter, sugar and cornstarch to the blackberries, boiled them briefly, then used sweet vanilla drop biscuits for the crust. It was superb! 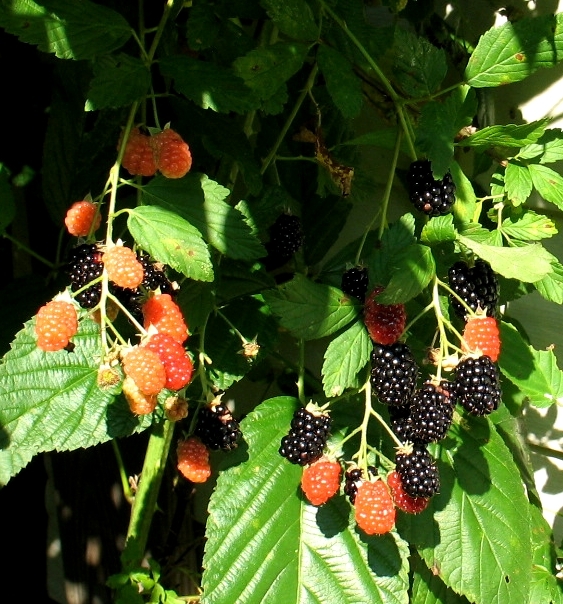 I love the way the blackberry season is staggered. I can enjoy their essence of summer flavor fresh from the bush for a while. 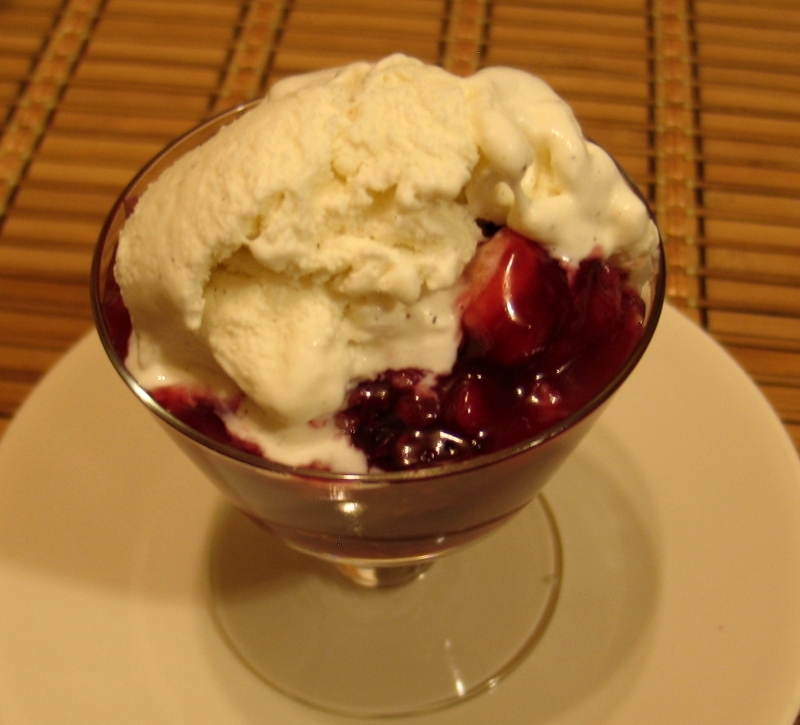 I won’t make blackberry jam or jelly this year because my sister gave me all the blackberry and huckleberry jam that I can use for a while. Enter your email address to subscribe to Tinycamper's blog and receive notifications of new posts by email.